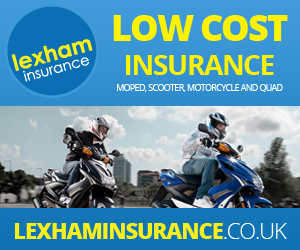 Electric motorbikes have become hugely popular over the last few years. From bicycles with additional motors for that extra added oomph, to sports models that can give your favourite Kawasaki a run for its money. One such bike that should never be underestimated in its abilities and uses however, is the model 50 electric cargo bike. Electric cargo bikes are the unsung heroes of the small inner city business. Helping to save time, money and more for small businesses and large enterprises. they work tirelessly as delivery bikes, bringing you everything from food to drink and even vital organs. If that’s not enough to convince you that electric cargo bikes are the perfect addition to your business, perhaps the following benefits of electric delivery mopeds will. Money Saving – When it comes to buying a fleet of delivery scooters, it isn’t just the initial payment that needs to be considered – petrol engine vehicles need to be maintained and that comes at a cost. From the constant refilling of fuel to servicing and of course servicing and tax, the bills seem never ending. This continual expenditure will only eat into your profit every single time a pizza is delivered. Switch to electric cargo bikes however, and you’ll start to see just how much money you’ll save. For starters, you can forget the need to annually service your bike and also wave goodbye to MOT fees! You’ll also see huge savings over time thanks to the lack of petrol needed. With the average electric scooter offering around 50 miles on one full charge, the money you’ll save on petrol will be noticeable immediately. Some companies have even found that lower running costs for their fleet can translate to lower costs for their customers, increasing profits in the long run as customers enjoy lower costs, inevitably buying more and more often. Environmentally Friendly– The state of our planet is a hot topic of debate. Being more environmentally friendly not only helps our conscience but also helps create a ‘green’ image for businesses. Switching from petrol mopeds to electric mopeds will reduce your carbon footprint hugely. Electric cargo bikes emit zero carbon which means they have no impact on the environment. With more and more emission zones coming into force, this is more important than ever. Going green as it’s known, is certainly a point worth stressing. With a much lower impact on the environment, you can push your business forward in a more ethical manner. This isn’t just great in terms of cost and lowered fines when entering certain zones, but you’ll also find other companies willing to work with you more thanks to your new green image. This effect isn’t just limited to B2B relationships. Customers are more environmentally conscious than ever and choosing green companies more frequently. Reduce your carbon footprint and increase your turnover with one change from petrol-fuelled scooters to electric scooters. Simple. Great Image – While being green is of course paramount in terms of your commercial brand and style, it’s also of huge benefit too. The style and image of the delivery bikes you use is hugely important. They represent your brand, your ethos. The new electric cargo bikes to hit the market have taken this need into consideration and produced sleek, modern designs that not only look great, but perform within the top of their class. Our electric cargo bikes are no different. They offer smoother rides, longer periods between charges and of course, cargo boxes that provide more room for produce. Let’s not forget the simple fact that thanks to brands such as Tesla, electric vehicles are hot property right now. Cargo boxes provide the best, uninterrupted space to place logos and other necessary vehicle livery to promote your company. From logos to contact details, you’ve just gained yourself a free site for advertisement on one of the most environmentally friendly vehicles possible. Need we say more? Here at E-Rider, we pride ourselves on offering only the best quality electric bikes out there. We want to provide you with affordability, choice and style. Our range of electric cargo bikes does exactly that. With our delivery bikes, your company could provide delivery services in the most eco-friendly and cost-effective manner possible. The question is, isn’t it about time you took the leap? Help your company go green, save money and look great with our electric cargo bikes available for sale or lease. For more information, simply contact us today via phone on 01928 583030. Our team are always on hand to offer help and guidance every step of the way.